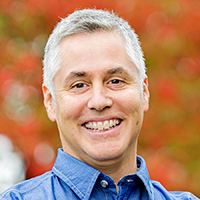 John Borrows BA, MA, JD, LLM (Toronto), PhD (Osgoode Hall Law School), LLD (Hons, Dalhousie & Law Society of Upper Canada) FRSC, is the Canada Research Chair in Indigenous Law at the University of Victoria Law School in British Columbia. His publications include Recovering Canada: The Resurgence of Indigenous Law (Donald Smiley Award for the best book in Canadian Political Science, 2002); Canada’s Indigenous Constitution (Canadian Law and Society Best Book Award 2011); Drawing Out Law: A Spirit’s Guide (2010); Freedom and Indigenous Constitutionalism (Donald Smiley Award for the best book in Canadian Political Science, 2016); and The Right Relationship (with Michael Coyle, Ed. ), all from the University of Toronto Press. John is Anishinaabe/Ojibway and a member of the Chippewa of the Nawash First Nation in Ontario, Canada.